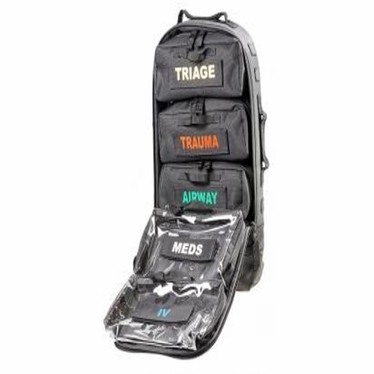 The SAVIOR7™ PRO Combat Trauma System is a low profile assault-aid trauma bag designed for operational and tactical medics working in confined spaces, specifically designed to provide immediate access to critical care supplies and deliver life sustaining treatments while providing ballistic protection for the user. Depending on mission requirements, the SAVIOR7™ PRO can be configured in a variety of ways to support your team. The full length zippered main interior padded pocket is completely lined with loop tape and can accommodate multiple configurations of G7 MINIFILL and H7 VIEWPACK removable modules, or a variety of commercially available system panels. The quick-grab G7 MINIFILL and H7 VIEWPACK labeled mods support critical intervention supplies that can be accessed or deployed for trauma treatments. The front and back exterior zippered pockets accommodate litters or up to 12” M4L ballistic armor. 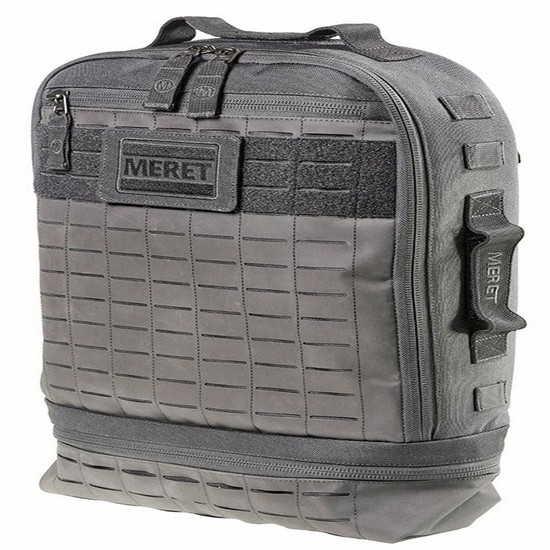 A bottom zippered pocket offers additional storage for triage supplies, litters, or IV solutions. 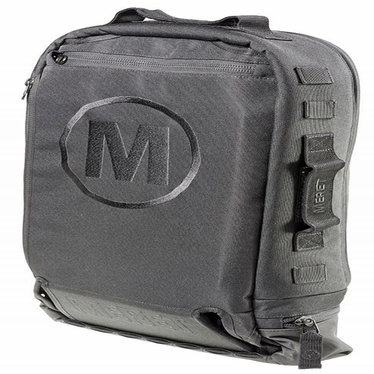 The pack exterior is fully paneled with laser cut MOLLE for additional equipment. Low profile carry-drag handles are located on the top and sides for versatile recovery. 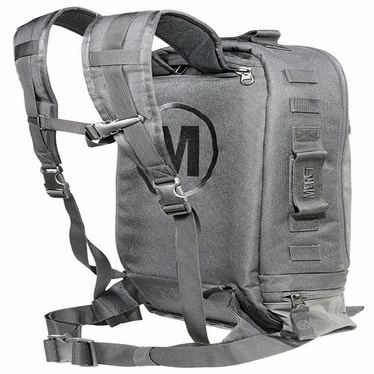 Equipped with concealable waist and backpack straps, the SAVIOR7™ PRO can be readily worn as a solid rucksack or all straps can be stowed cleanly and the pack can be attached to body armor or a load bearing vest using the included 4 point webbing straps. If attached to a vest the SAVIOR7™can quickly be removed for treatment by triggering the shoulder release buckles. A large front name tape area offers space for easy identification or GLINT tape. Constructed from 1200 denier coated TPE water and stain resistant material, with all YKK oversized zippers, the SAVIOR7™ is built tough and backed by our M4L Lifetime Warranty. The SAVIOR7™ PRO Combat Trauma System is available complete with ultrathin NIJ Level IIIA armor protection, three G7 MINIFILL, and two H7 VIEWPACK modules for maximum utilization, or items can be purchased individually. Fully stocked systems with critical care supplies are also available by contacting us. The SAVIOR7™ PRO is available in tactical black (no reflectivity).